some descendants of Samuel Walker, including Rev. Timothy Walker, the countess of Rumford, the wife of telegraph inventor Samuel Morse and a president of Harvard University. Hannah is the great-great-great-great-greatgrandmother of President Calvin Coolidge. Click here to see his descent from her. Benjamin Walker was born on 4 Jun 1651 in Reading. [Ref][Ref, p. 4] He died on 26 Apr 1653 [Ref, p. 4] in Reading. [Ref] The town records have a Benjamin born on 4 Jun 1651 and a Benjamin who was born and died on 26 Apr 1653. So, it is possible that there were two Benjamins who died young. Isaac Walker was born on 1 Nov 1677 in Woburn. He married Margery Bruce. Isaac Walker was born on 12 Jul 1707 in Woburn. He died on 1 Sep 1782 in Concord. He married Sarah Breed. Timothy lived in Concord. [Ref] He had a garrison there in 1746. [Ref 2;63] He was the first brick layer in town. [Ref, 7;6] He was referred to as Timothy Walker, Jr. to distinguish him from the Rev. Timothy Walker. William lived in Concord. [Ref] He was chosen a hog reeve there on 29 Mar 1738, 15 Mar 1738/9 [Ref, p. 184], 20 Mar 1739/40, 2 Mar 1740/1 [Ref, p. 185] and 31 Mar 1742 [Ref, p. 185]. He was chosen a field driver on 29 Mar 1738, 15 Mar 1738/9 [Ref, p. 184], 20 Mar 1739/40 and 2 Mar 1740/1 [Ref, p. 185]. John Walker was born on 8 May 1763. He died on 25 Feb 1830. He married Elizabeth Calef>. Hannah Walker was born on 26 Feb 1770 [Ref, p. 690] probably in Concord. In 1810 Peter headed a household in Bethel with one male 26-44 and one female 16-25. It appears likely that Elizabeth Calef is the daughter of Joseph and Hannah (Pettingill) Calef, born 1 Oct 1767 in Salisbury, New Hampshire. John and Elizabeth named their first five children Joseph (for her father), James (for his father), Hannah (for her mother), Abiel and Ruth (for his mother). James Walker was born on 8 Jul 1791 in Salisbury, New Hampshire. He died on 7 Dec 1866. He is buried in Bethel, Maine. He married Hannah Jackman Barker. Joseph C. Walker was born about 1793 [Ref][Ref] in Salisbury, New Hampshire. [Ref] He died after 1880 [Ref] at the home of his daughter Charlotte Swan [Ref, p. 290]. He married Lucinda Hale of Waterford. [Ref, p. 636] Lucinda was the daughter of Oliver and Eunice (Fletcher) Hale. [Ref, p. 290] She was born about 1798 [Ref] in Waterford, Maine. [Ref] She was living in 1860 but probably died before 1870, when she does not appear in the census. Hannah Walker married Isaac Presser of Mercer, [Ref, p. 636] Somerset, Maine. 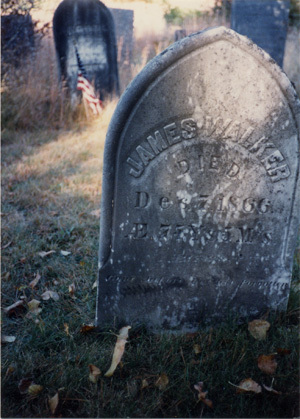 James Walker was born on 8 Jul 1791 in Salisbury, New Hampshire. He died on 7 Dec 1866, age 75 years and 5 months. [Ref] He is buried in Bethel [Ref] in the South Bethel cemetery. [Ref] He married Hannah Jackman Barker [Ref] of Bethel on 21 Feb 1822. Lucretia Walker was born on 8 Jul 1824 in Bethel. 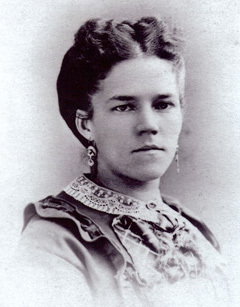 She died on 22 Aug 1908 in Los Angeles. She married Sumner Reid Johnson. John Barker Walker was born on 17 Apr 1834. [Ref, p. 637] He married Mary Unknown. Mary was born about 1844 in Pennslyvania. Abbot, Abiel, A Genealogical Register of the Descendants of George Abbot of Andover: George Abbot of Rowley, Thomas Abbot of Andover, Arthur Abbot of Ipswich, Robert Abbot of Branford, Ct. and George Abbot of Norwalk, Ct., Boston, James Munroe, 1847. Amsden, Grace P., A Capital for New Hampshire, vols 1-3, unpubished, written in the 1950s. Ancestry.com, U.S. IRS Tax Assessment Lists, 1862-1918, database on-line, Provo, UT, Ancestry.com Operations Inc, 2008. Anderson, Robert Charles, "Ancestry of President Calvin Coolidge," The American Genealogist 53, Apr 1977, 65-74. Bouton, Nathaniel, History of Concord, New Hampshire: From the original grant in seventeen hundred and twenty-five to the opening of the twentieth century, Concord, Rumford Press, 1903. Bouton, Nathaniel, The History of Concord: From its first grant in 1725, to the organization of the city government in 1853, with a history of the ancient Penacooks : the whole interspersed with numerous interesting incidents and anecdotes, down to the present period, 1855, embellished with maps, with portraits of distinguished citizens, and views of ancient and modern residences, Concord, New Hampshire, B.W. Sanborn, 1856. Bowen, A. W., Progressive Men of Western Colorado, Chicago, A. W. Bowen, 1905. Bureau of the Census, Second Census of the United States, 1800, Washington, D.C., National Archives and Records Administration, 1800. Bureau of the Census, Fourth Census of the United States, 1820, Washington, DC, National Archives and Records Administration, 1820. Bureau of the Census, Fifth Census of the United States, 1830, Washington, DC, National Archives and Records Administration, 1830. Bureau of the Census, Ninth Census of the United States, 1870, Washington, D.C., National Archives and Records Administration, 1870. Bureau of the Census,Thirteenth Census of the United States, 1910, Washington, DC, National Archives and Records Administration, 1910. 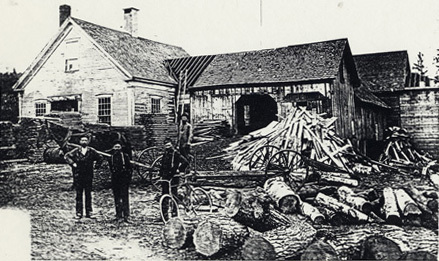 Blynn, Davis, "Bridgton Marriages," extracted from the town records, http://www.rootsweb.ancestry.com/~mecsebag/BridgtonMarriages.html, viewed 31 Mar 2011. Currier, Harvey Lear, Genealogy of Richard Currier of Salisbury and Amesbury, Massachusetts, (1616-1686-7): and many of his descendants, Newport, VT, unknown, 1910. Folsom, George, History of Saco and Biddeford, with notices of other early settlements, and of proprietary governments, in Maine, including the provinces of New Somersetshire and Lygonia, Saco, A.C. Putnam, 1830. Historical Data Systems, comp., U.S. Civil War Soldier Records and Profiles [database on-line], Provo, The Generations Network, Inc., 2009. Hurd, D. Hamilton, ed., History of Merrimack and Belknap Counties, New Hampshire, Philadelphia: J.W. Lewis & Co., 1885. Johnson, Edward F., Woburn Records of Births, Deaths, and Marriages From 1640 to 1873,Woburn, Andrews Cutler & Co., 1890. Johnson, Paul Franklin and Frank Leonard Johnson, Genealogy of Capt. John Johnson of Roxbury, Massachusetts, Commonwealth Press, Los Angeles, 1951. Lapham, William B., History of the Town of Bethel, Maine, New England Press in collaboration with the Bethel Historical Society, Somersworth, New Hampshire, 1981. Libby, Charles Thornton, Genealogical Dictionary of Maine and New Hampshire, Portland, ME, Southward Press, 1928. Loring, Arthur G. and William R. Cutter, Samuel Walker of Woburn, Mass. and Some of His Descendants, David Clapp & Son, Boston, 1903. National Park Service, U.S. Civil War Soldiers, 1861-1865, on-line database, Provo, UT, Ancestry.com Operations Inc, 2007. No author, Middlesex County, MA, Abstracts of Court Files, 1649-1675, New England Historical and Genealogical Society database, http://www.americanancestors.org. No Author, Biographical Review: This volume contains biographical sketches of leading citizens of Franklin and Oxford Counties, Maine, Boston, Biographical Review Pub. Co., 1897. No author, Concord town records, 1732-1820, Concord, Republican Press Association, 1894. Ordway, John C., "Publishments and Marriages in the town of Rumford (now Concord), New Hampshire, 1732 - 39," Granite Monthly 33, 38-40, 1902. Twitchell, Ralph Emerson, Genealogy of the Twitchell Family, privately printed, New York, 1929. Walker, Joseph B., Diaries of Rev. Timothy Walker, Ira C. Evans, Concord, New Hampshire, 1880. Wardlow, Jon, "Revisiting the Family of Gershom Flagg of Woburn, Massachusetts," New England Historical and Genealogical Register 163, 2009, 19-26. Weis, Frederik Lewis, The Colby Family in Early America: Early Generations of Descendants of Anthony Colby of Boston, Cambridge, Salisbury, Massachusetts 1595-1661, Colonial Press, Concord, 1970. Wisconsin Department of Health and Family Services, Wisconsin Vital Record Index, pre-1907, Madison, Wisconsin Department of Health and Family Services Vital Records Division.